A decade of dance at Staffordshire’s Groove Academy has led to lifelong friendships and even two weddings. And many old dance partners will be reuniting as the Groove Academy celebrates its 10th birthday with a dance extravaganza. The birthday celebrations involve two dance floors, well-known comperes, swing dancing and salsa at the Northfield Centre, Stafford, on Saturday, February 27. ‘There will be a swing room and a salsa room and we are looking to welcome friends old and new,” said Kate Beauchamp, owner of the Groove Academy. Philip and Laura Sant, of Ranton, near Stafford (see more below), met at the Groove Academy and will be back on the dancefloor at the birthday celebratiions. Kate, of Stone, began holding dance classes under the Groove Academy banner at the Stafford Rangers’ social club. Classes are still held there and at St Dominic’s Social Hall, i n Stone, while the Groove Academy’s main base is at the Northfield Centre, Stafford. 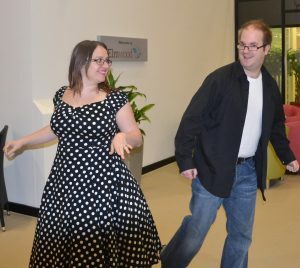 “Salsa has been the most popular style throughout our 10 years but a recent craze for all things Vintage has seen huge interest in swing dances,” said Kate. The swing dance room at Groove Academy’s birthday celebrations will feature nationally renowned jazz singer Bexi Owen, while well-known dance teacher, Lee Hunter, will head up dance sessions in the salsa room. From hosting just two classes in 1996, the Groove Academy has grown to embrace many dance styles from burlesque to ballroom and the Charleston to rock n roll. Tickets are available for the 10 year celebration event by calling the Groove Academy on 01785 413230 or online at [http://www.grooveacademy%2Cco.uk/]www.grooveacademy,co.uk. The Groove Academy is based at the Northfield Centre, Magnolia Avenue, Stafford, ST16 3DA. “I started ‘grooving’ in 2008 and only went along on a whim because friends told me it would be fun,” said Philip Sant of Ranton. But that chance visit to a Groove Academy salsa class at Stafford Rangers led to Philip falling for both dance and the woman who would become his wife. 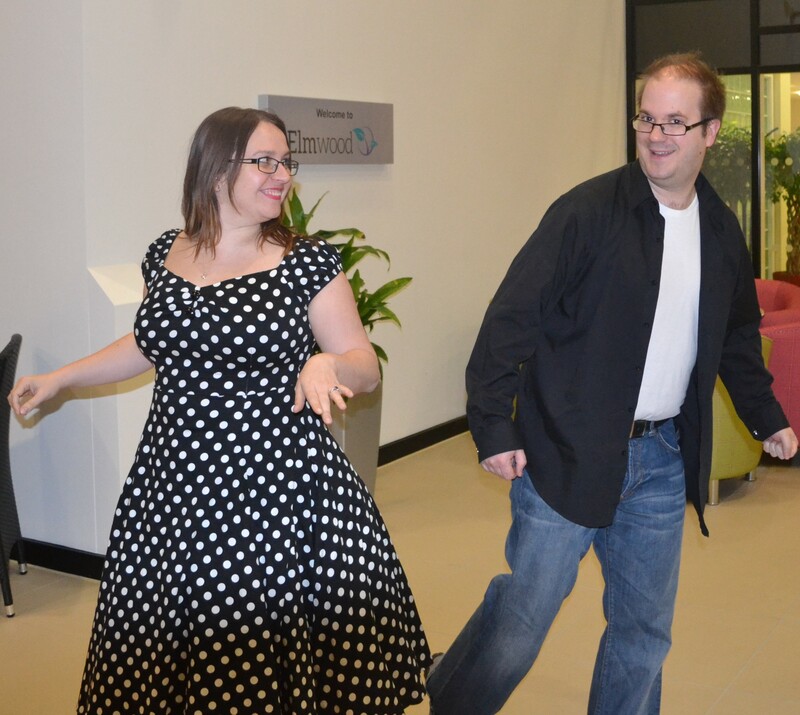 The dance bug struck Philip and he became a regular Groove Academy attendee and eventually a dance instructor. Computer Systems expert, Phil added: “I first met my wife Laura at a dance class at Stafford Rangers in 2010 and we’d often find ourselves at the same classes at Stafford and at the Aquarius Ballroom, Cannock. “We did a lot of Rock n Roll dancing and, while dancing to Reet Petite, Laura told me it was her grandfather’s favourite song. Laura and Philip went on dance holidays to Jersey and the famous Blackpool Tower ballroom with others from the Dance Academy and they eventually tied the knot at the Moat house Hotel, Acton Trussell, last year. Kate Beauchamp, owner of the Groove Academy was there having choreographed the couple’s wedding dance. For media enquiries contact Nigel Howle by telephone on 0776 2043436 or emailnigel.howle@howlecom.co.uk. 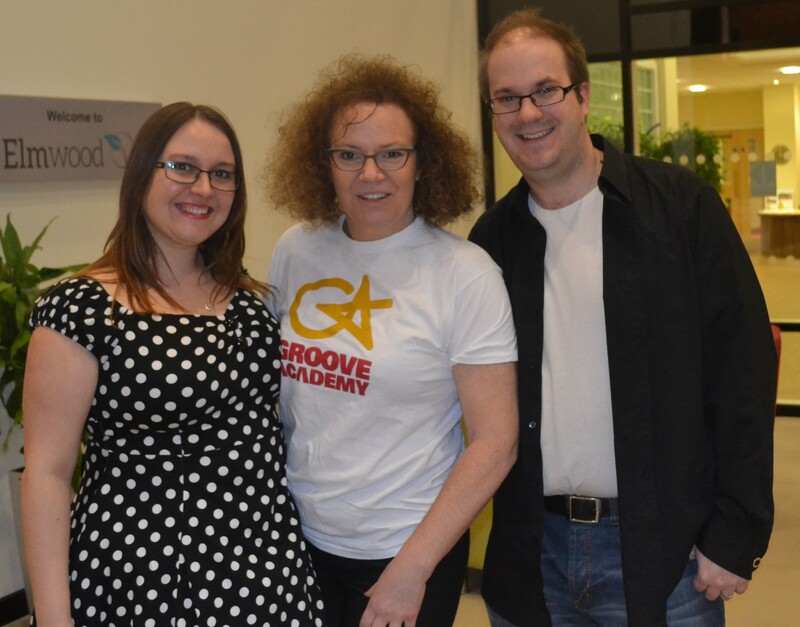 Founded by Kate Beauchamp in 2006, the Groove Academy provides tuition in a variety of traditional and modern dance styles for children and adults of all ages. Groove Academy is based at the Northfield Centre, Magnolia Avenue, Stafford, where there is a dance studio. Further classes are held at St Dominic’s Social Hall, Station Road, Stone.